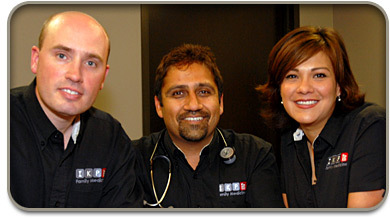 Prior to forming IKP Family Medicine, Drs. Irvine and Kashyap had been practicing in the 1960 area while Dr. Palmeros was primarily based in The Woodlands. Drs. Irvine, Kashyap and Palmeros collaborated to form the practice in an effort to better service the needs of the patients in Northwest Houston and The Woodlands. We continue to service our patients’ needs through our affiliations with Houston Northwest Medical Center, Memorial Hermann–The Woodlands Hospital, CHI St. Luke’s Health–The Woodlands Hospital and Houston Methodist-The Woodlands Hospital. We are constantly striving to provide a more comprehensive, modern and caring environment for our patients.